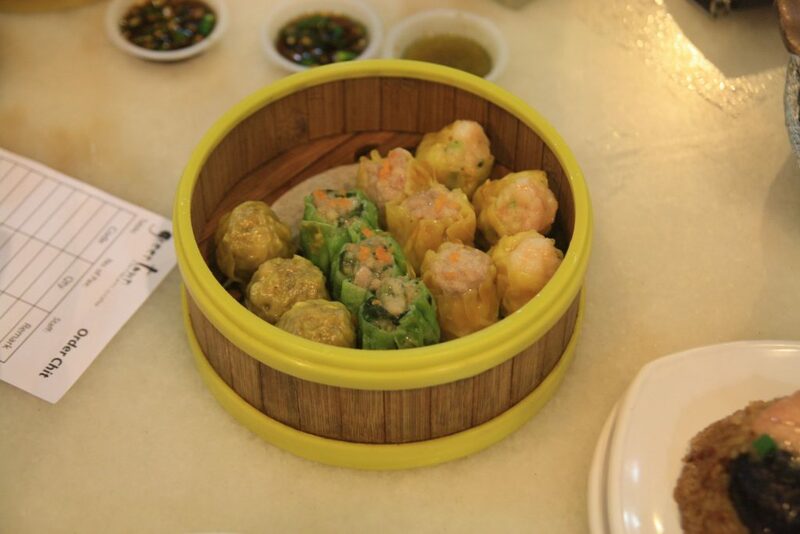 Craving Dim Sum for dinner instead of breakfast? But where can you go? 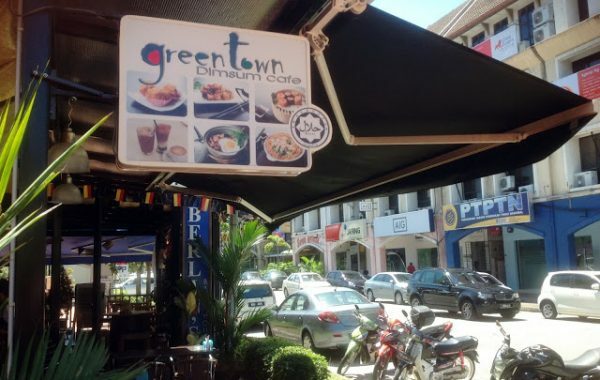 To all Kaki Makan out there especially our Muslim foodie friends dying to try some Chinese dim sum, check out this place named Greentown Dim Sum Café. We all know most dim sum shops serve their offerings normally in the morning, however this time we managed to make a reservation for dinner (even Papa warned us most of the food will no longer be available as we arrive). I noticed this café every time I went to the PTPTN (you know why, ha ha ha), I would see large crowds enjoying their food there. Since Papa is sitting beside me, I am reluctant to admit; after 9 years since its operation, this is the first time I’ve been here (Better late than never!). What surprised us is this café has all Malaysians, regardless of colour or creed, as their customer. That’s why M Makan Kaki(s) decided to have a try! Ipoh can be considered as Dim Sum paradise, but not everyone has the opportunity to try. Rest assured! 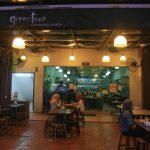 Greentown Dim Sum Café is the only outlet in town with a certified JAKIM certificate, so it’s absolutely HALAL (jangan was was ya!). Oh ya! Canning Dim Sum Café might cross your mind right now, but don’t be confused as they are only pork-free okay? 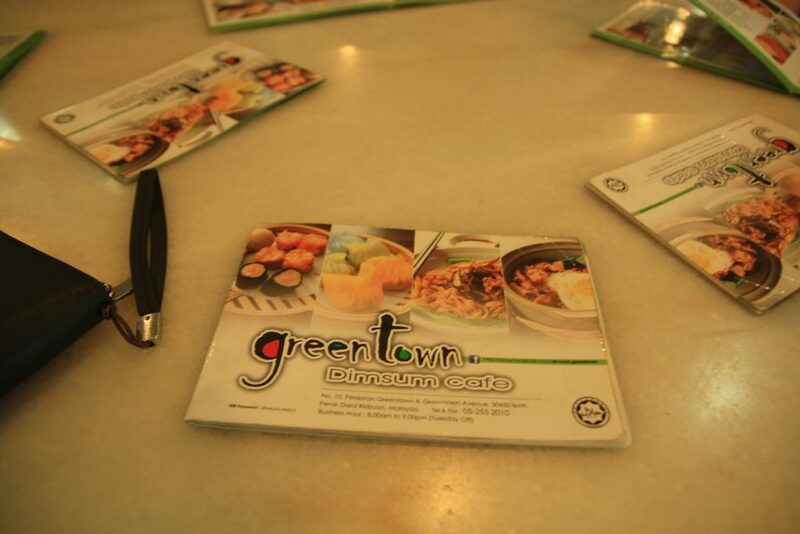 Located in the Greentown Commercial Centre, next to Berlin’s Bier Houz, Greentown Dim Sum Café started operations since 2010 and founded by Ms. Judy Chin and her husband. We are lucky enough we were served by the owner herself upon our arrival. Unfortunately, we were informed some of the dishes were unavailable, but it didn’t break our spirit to enjoy the dim sum! This time round we didn’t take too long on deciding what to eat since one of our family members has patronised this cafe before and knows what to order! (We didn’t even hear “nak makan apa ni?”). Serving a good combination of all your dim sum favourites plus an interesting range of other local delights, the outlet makes it possible for dim sum lovers to indulge in their favourite dishes the whole day through. Unanimously, we decided to order – Fried Shang Mee, Clay Pot Chicken and Egg rice, Fried Bean Curd Roll, Prawn Dumpling, Fried Radish Cake, BBQ Chicken Pau, Golden Fish Dumpling, Prawn Siew Mai, Chicken Siew Mai, Pyramid Dumpling and Chicken Glutinous Rice. While waiting for our food to arrive, we had a conversation with Ms. Judy. You must be wondering why she wanted to open a “Halal Certified” dim sum instead of the conventional Chinese dim sum right? Yeah, we are curious too! Let’s share this secret! (don’t tell anyone, Haha). She studied in Sekolah Kebangsaan back then and had lots of Malay friends even till now. She decided to open a Halal café so that all her friends can enjoy the taste of dim sum (Can we shout 1Malaysia now?). Oh ya, did I mention that this café can fit 100 persons in one seating? The café divided into two sections, air-condition area and open-air area (Us? Obviously, we are in the air-cond area!). As mentioned by Ms. Judy, in one day some of the dim sums will not be available, which is done on purpose as they can’t manage to prepare all food in the menu the night before …. but that assures all items served on that particular day will be the freshest ones possible. The best part is all the dim sum was served in the bamboo steamer….. surprise surprise, we were attracted most to the Barbecued Chicken Pau! 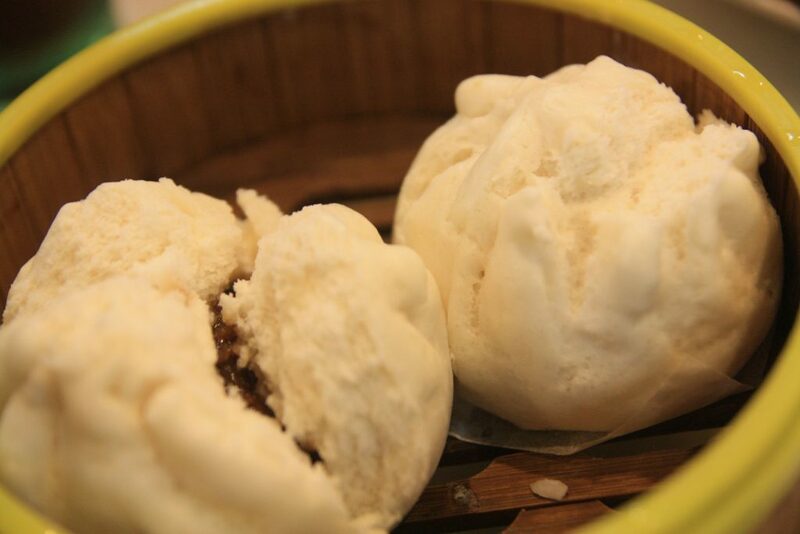 It may look like a normal pau, but don’t judge a book by its cover! The pau’s pastry was light and fluffy, the filling is substantial and a little sweeter than the norm (We just love it!). Fried Bean Curd Roll was served piping hot! Ah the crispiness of the Fried Bean Curd skin at first bite followed by the melting-in-your-mouth sensation as it dissolved so smoothly that we didn’t even notice the mint sauce served on the side. Not to forget, the rolls are less oily as well! Next was Prawn Dumpling (Har Kau), it had a right translucent skin, the prawn filling inside is totally fresh on the first bite. 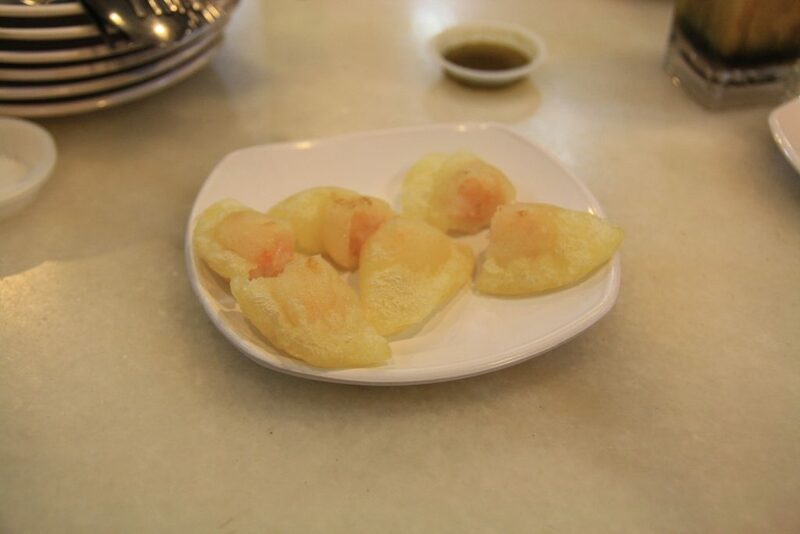 Their Pyramid Dumpling (Salted Egg Har Kau) can be considered an upgraded version of Prawn Dumpling. The combination of prawn and salted egg are totally irresistible! (I totally love it!). Golden Fish Dumpling is worth to try, which is made in the shape of a goldfish, but some of us did not really like it since the dish a little raw. For sushi lovers, you might want to consider this. 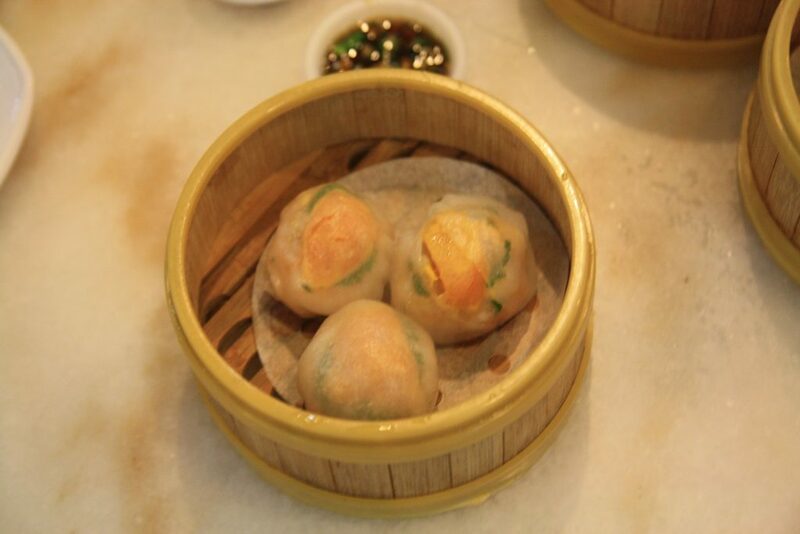 The Siew Mai is something different for us (most of us had it for the first time). 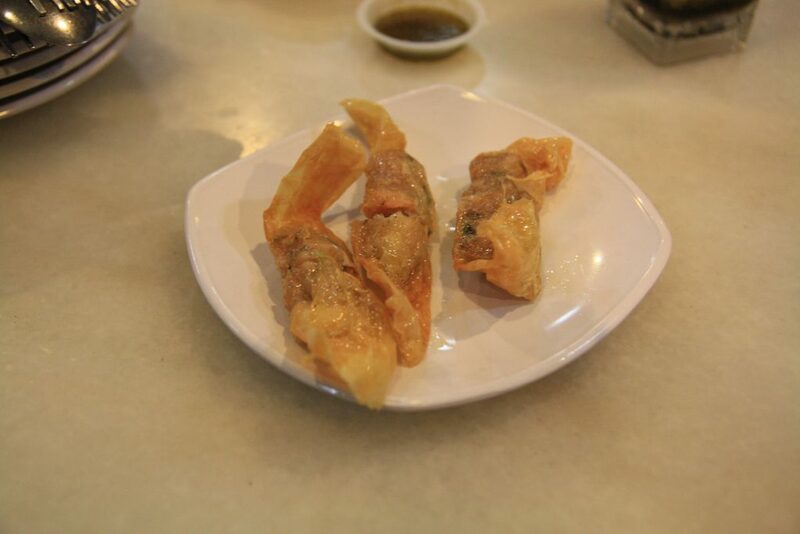 As for the presentation-wise, the skin of Siew Mai is soggy and wrinkly. 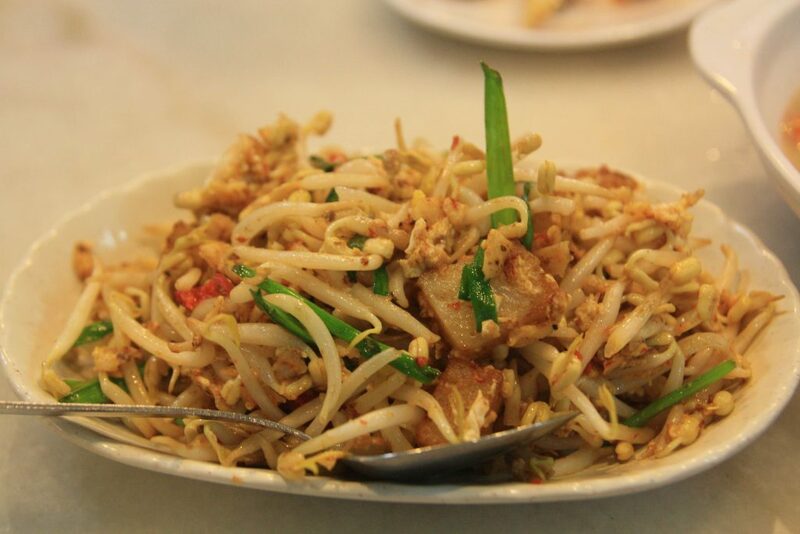 We then had their very tasty Fried Radish Cake which came with a plenty bean sprouts and a good dose of chili. It also had a light “char kuey tiaw” flavor. The portion is enough for three of four people. The Chicken Glutinous Rice (Lor Mai Kai) was passable, this was a steamed dish with good balance moisture but a too salty for our liking. 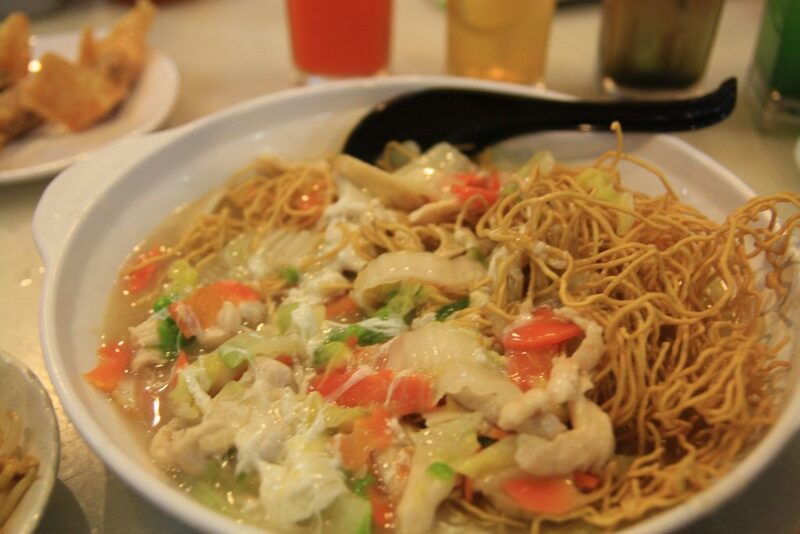 We enjoyed the Fried Shang Mee similar to Wan Tan Hor (Cantonese Fried Noodles); Shang Mee literally means “Raw Noodles” as the noodles were deep fried till crispy and tastes quite good! We advise you to share if ordering Noodles as their portions are large, if not you will stop eating before you can enjoy the dim sum! The Clay Pot Chicken rice didn’t let us down either. 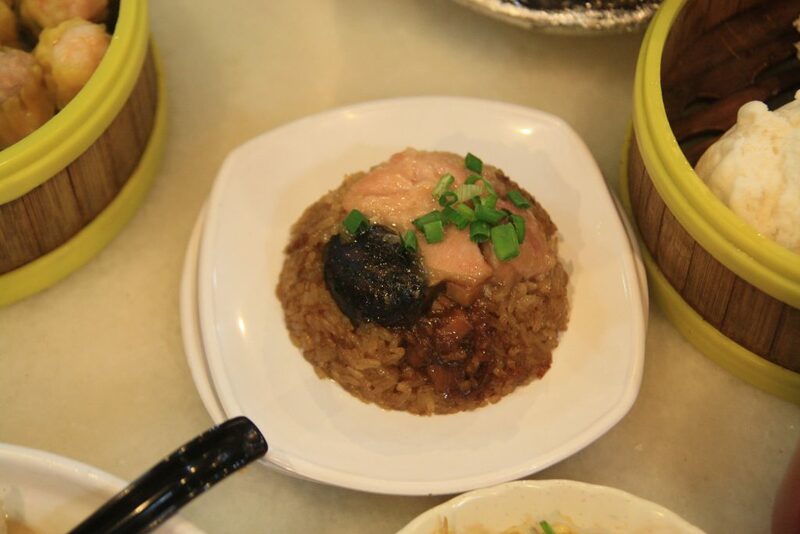 Fluffy grains of rice cooked in clay pots fuelled by charcoal-fire served with a liberating amount of dark soya sauce and marinated chicken meat makes the dish is totally unforgettable. 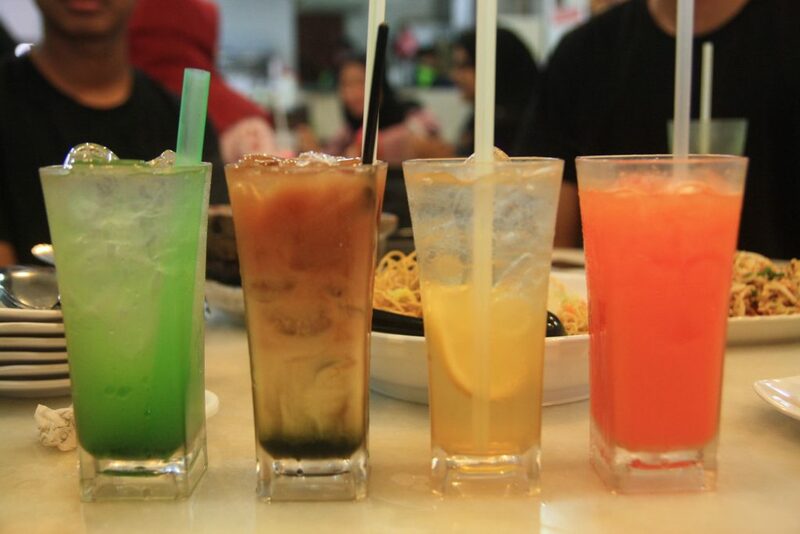 As for the beverages we ordered 4 types: Carrot Orange, Lemon Ice, Kiwi Ice, and Greentown Milk Tea. You won’t regret as the juice are freshly squeezed from the fruit (they are not using syrup for the juice okay?). 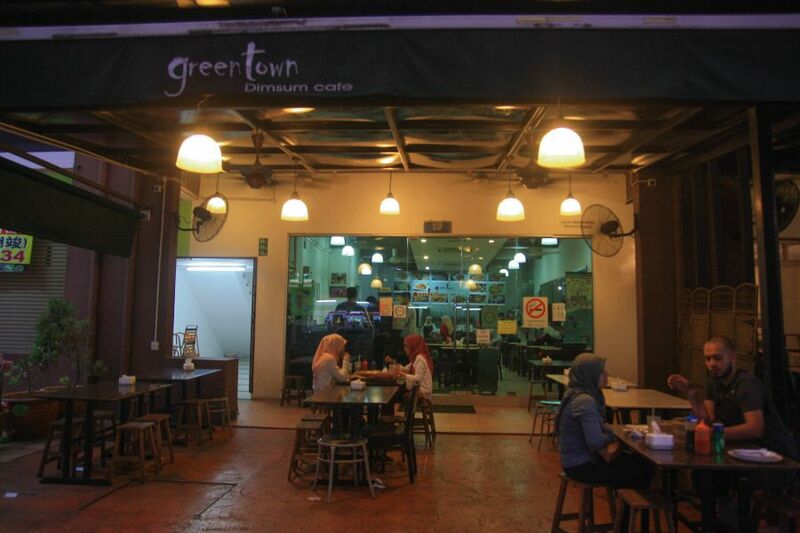 Greentown Milk Tea is a ‘must’ order in the menu. The light layered tea is not too sweet and has a distinct but not overpowering pandan flavor. The addition of pandan fragrance makes this drink a winner! 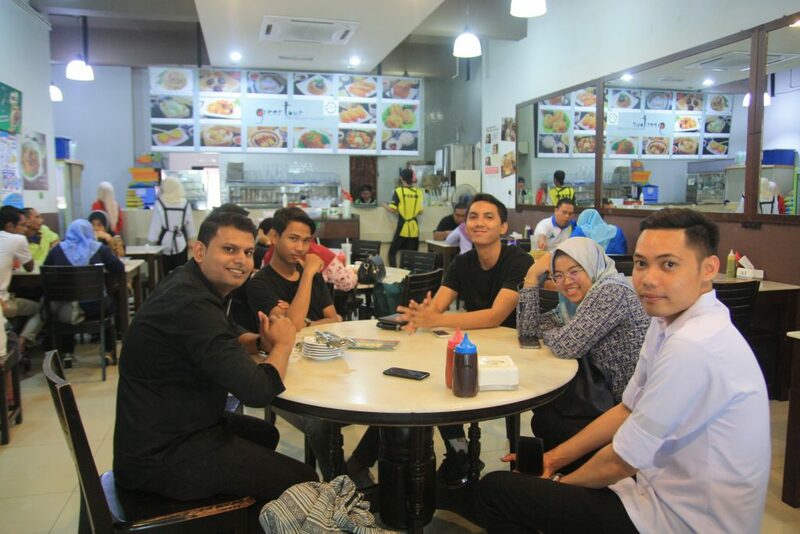 The overall meal was satisfying for a “halal” dim sum which burnt Papa’s pocket of RM 124.40 for 6 of us with drinks. We consider this as very affordable as we thought it would cost us around RM 200. Anyway, with budget of RM300 for a food review, we should have splurged on ourselves ….. ar well, perhaps the next review. 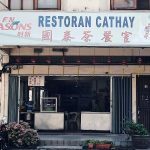 This place is a good option for those who want to enjoy halal dim sum and its definitely worth a visit for dim sum lovers. Our rating? 8/10 for being the only place to enjoy dim sum for dinner!